A lot of web sites will tell you what today’s best Android smartphones are, whether in terms of camera performance, display size, or default software features. However, you can expect many of the phones present in these “best of” lists to be invariably expensive, often costing upwards of $500 or $600 a piece. Are end users really always doomed to break the bank if they wish to enjoy technology? Of course not. Not all phones require you to drop half a dozen Benjamins and sign up for a mandatory two-year contract just so you can paw at them through your daily existence. There are good models out there waiting to be acquired right now for about a hundred bucks — and some cost even less than that. Those are what this particular list is all about: the best cheap Android smartphones available, both with and without a contract. Read on to find out what phones these are now. It may no longer be LG’s latest flagship Android phone, but the Optimus G is still one of the best Android-powered models with an inexpensive price tag. Currently, it may be purchased from the likes of AT&T for less than $50 outright, as long as you sign up for a new two-year contract. And if you’re quick, you may even get it for lower than that thanks to some other promotions. For its price, you’ll be getting an Android phone that’s often overlooked yet is actually one of the most impressive ones that has ever come out in the past 12 months. It’s considered by some people as the blueprint for the current Google-branded Nexus handset, and it can run the latest version of Android just fine, even though it’s a fairly old model if you think about it. Given that it has a 4.7-inch HD screen, a 1.5GHz quad-core CPU with 2GB RAM, an 8MP camera, and 4G LTE network connectivity, you can rest assured that not many people will be calling it outdated any time soon. For about the same price as the LG Optimus G, you can also get yourself a Motorola Atrix HD. We know, Motorola hasn’t really been active around these parts lately, but that doesn’t mean that the old Atrix HD is any less of a must-have for it. Part of the Motorola Atrix HD’s list of features are a 4.5-inch HD display, an 8MP camera with 1080p video recording capability, and support for 4G LTE. But its most interesting feature is probably its Dupont Kevlar construction, which makes it very sturdy. Combined with a splash guard coating, this makes the Motorola Atrix HD one of the few inexpensive choices for people who lead an active lifestyle. As mentioned earlier, it can be purchased for only $49 with a contract. But if you’d rather use a prepaid SIM card, its price tops off at just $350 without one. Don’t let its simple outward appearance fool you. The Sprint Vital comes with a 2,500mAh battery, which should work well with its built-in 13MP camera and 4G LTE connectivity. If that sounds appealing, you’ll be glad to know that it will be sold for only $99 with a new two-year contract. This one is a bit late when compared with the others on this list, software-wise. The Pantech Burst, which was announced as one of the cheapest LTE-enabled Android phones in the U.S. last year, is still around. And it’s stuck on Android 4.0 Ice Cream Sandwich. However, that doesn’t mean that it can’t be put to good use anymore. 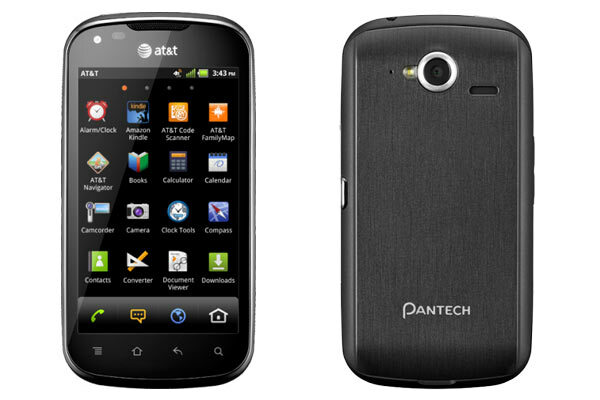 The Pantech Burst has a 4-inch WVGA Super AMOLED touchscreen display, a 5MP camera with 720p HD video recording, 16GB of internal storage, and a 1,650mAh battery. Sure, it’s not the most powerful one out of this entire lot, but it certainly looks like it’ll get the job of a proper smartphone done. And with a $0.01 price on contract ($350 without), we’re not complaining. Here’s a phone that you might easily dismiss as something that can’t possibly be useful, especially when similarly-equipped affordable handsets are coming out left and right. The HTC First, long-rumored to be the “Facebook phone” before its official announcement, is different from the many other entry-level and mid-range handsets out on the market right now. And the reason is because underneath its layer of Facebook-centric features lies the stock Android experience. On top of that, it’s really not that bad when it comes to hardware either: it has a 4.3-inch HD screen, a 5MP camera with 1080p video recording, a dual-core 1.2GHz Snapdragon 400 CPU, 1GB of RAM, and a 2,000mAh battery (not to mention the world-famous HTC brand of quality). All of that can be yours now for only $99. If you can find a place that still sells the HTC First, that is. Yep, we totally saved the best for last with this one. As one of today’s leading Android-powered devices, as well as the latest model in Google’s long-running Nexus series of handsets, the Nexus 4 certainly belongs in any list of best Android smartphones. It managed to land on the top spot of this list in particular because apart from having many of today’s best smartphone hardware features (with a few exceptions), it also has a shockingly low price tag. Google broke hearts when it announced that the Nexus 4 was going to sell for as low as $299 without a contract. It’s definitely a bargain, even with only 8GB of fixed storage space (the 16GB model costs $350), considering it has other top-notch hardware features to go along with it. And of course, as a Nexus phone, it’s not just all about the hardware. Software plays a very important role for it, too. 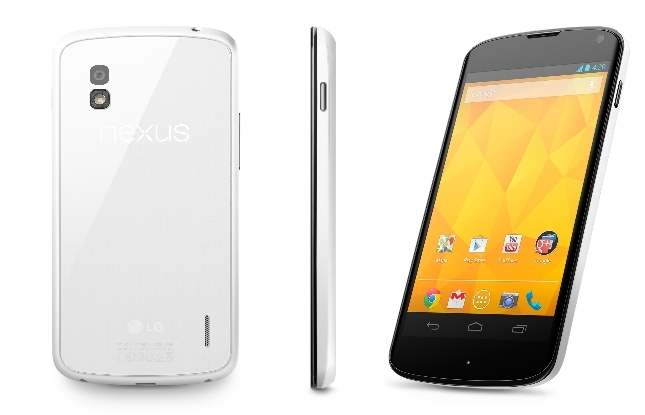 Nexus 4 users can expect to upgrade straight to many later versions of Android as soon as Google releases them. Indeed, that’s the beauty of having a Nexus 4 — you pay once, and you get to see your phone undergo a transformation (or maybe even a rebirth) again and again. What other models do you think should be included in this list of the best cheap Android phones? Are there any ones here that you think should be taken out? Let’s discuss it in the comments!